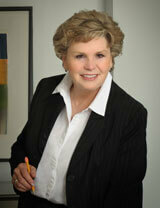 Ruth is a Certified Paralegal and has been a member of the National Association of Legal Assistant since 1987. Ruth has more than 30 years of experience as a bankruptcy paralegal. She currently assists the Firm’s bankruptcy and reorganization attorneys in representing creditors, debtors, and equity holders in complex corporate reorganizations and bankruptcy litigation. She supports the attorneys in preparing for proceedings before bankruptcy courts and federal and state trial courts. Ruth regularly performs research, drafts pleadings and other relevant documents necessary for progression of cases, coordinates docketing and electronic filing, oversees document production and analysis, chronology development, deposition preparation, and exhibit and trial preparation. Prior to joining Neligan LLP in 2013, Ruth was a senior bankruptcy paralegal for the law firm Gibson, Dunn & Crutcher, LLP for twenty-two years. Ruth has provided support in the representation of significant Chapter 11 cases, creditors’ committees, and distressed assets acquisitions, including New Louisiana Holdings, LLC (Debtor), Golden County Foods, Inc. (Debtor), ISR Group, Inc. (Debtor), High Maintenance Broadcasting, LLC (Debtor), Asbestos Claims Management Corporation (Debtor), NRG Energy, Inc. (Acquiror), Tenet Healthcare Corporation (Acquiror), I.C.H. Corporation (Creditors’ Committee), Sunrise Energy Company (Creditors’ Committee), NGC Settlement Trust (Trustees) and DII Industries Asbestos PI Trust (Trustees).